Southern Solutions, a leading provider of customized applications for Xerox ConnectKey devices introduces their latest breakthrough, the Coffee on Demand app! We have often been told that the new Xerox ConnectKey multifunction copiers will do so much, virtually everything except make coffee. Well now we have a solution for that! 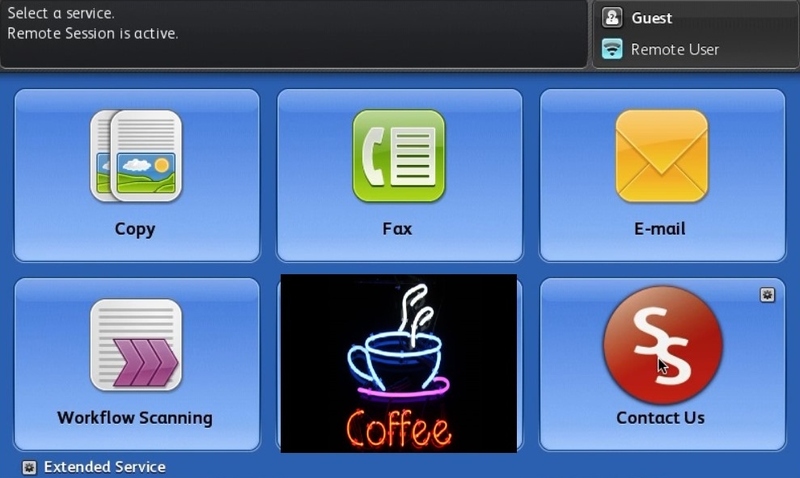 With our Coffee on Demand app, coffee is ordered from the user interface of the Xerox ConnectKey unit from a local establishment. Steaming hot coffee arrives to your office in about 15 minutes, just the way you like it. We have partnered with many establishments across the country to ensure great coverage for our Coffee on Demand service. Coffee will be charged to your monthly invoice just like copies. Below your CPC (cost per copy), you will see a CPCC (cost per cup of coffee). We offer affordable rates for our CPCC. For more information on our partner services or hosted app solutions, click here. Please contact us at anytime about this innovative technology and if you are still reading this, happy April Fools’ Day!